...Mango is looking to raise €100 million from debt investors in what would be the Spanish fashion firm’s first foray into the debt market. ...Ehling.Before joining Esprit in Düsseldorf as head of merchandising men Europe, Gursu also worked for nearly 10 years at Mango in Spain, as chief product officer and member of the executive committee until 2017. ...have seen her take to the catwalk for houses including Chanel, Miu Miu and Dior, in addition to fronting campaigns for Mango, Giorgio Armani and Marc Jacobs Beauty. 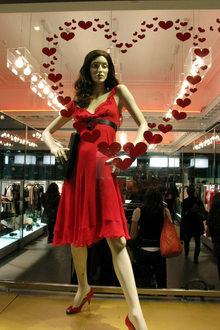 ...from Privalia and will join the brand's team on March 4, replacing Toni Ruiz, who was promoted to managing director of Mango in October. ...El grupo es uno de los mayores franquiciados en España de Mango y Pimkie y estudia abrir tiendas propias para sus marcas en 2020. Skydiver es una línea de moda dirigida a un público joven, dinámico y aventurero. ...La plataforma, llamada Mango likes you, permite a los suscritos acumular puntos para descuentos en compras, pero también para otros servicios online y donaciones a entidades solidarias. ...Massimo Dutti), juveniles (Inside, New Yorker, Pimkie, Stradivarius, Pull&Bear, Bershka, Jack&Jones) y mainstream (Zara, Mango, H&M, Celio, Springfield, Benetton). ...Per celebrare un decennio di attività, Mango Man ha ingaggiato l'attore americano Adrien Brody, protagonista di una speciale campagna in cui indossa i 10 pezzi della nuova capsule del marchio in vendita da ottobre. ...Giorgia Zanellato sono i giovani talenti che esporranno le proprie creazioni fino al 1° maggio nelle vetrine del negozio Mango di Corso Vittorio Emanuele a Milano. ...Mango ha lanciato “Committed”, la sua seconda capsule all'insegna della sostenibilità. L'obiettivo del brand spagnolo entro il 2022: il 50% di tessuti usati nelle proprie collezioni sarà di cotone sostenibile. ...Il brand spagnolo Mango ha inaugurato nella città di New Tork, a Soho, un nuovo concept store esperienziale di 600 mq: un progetto per far dialogare il mondo della moda con quello dell'arte e della tecnologia. ...Quartier 22@ der katalanischen Hauptstadt eingeweiht. Die 700 m² große Anlage soll das Wachstum des Onlinegeschäfts von Mango und Omnichannel-Projekte beschleunigen. ...voranbringen", so Ehling. Vor seiner Zeit bei Esprit in Düsseldorf als Head of Merchandising Men Europe war Gursu bei Mango in Spanien ebenfalls als CPO tätig. ...Privalia und wird ab 4. März das Team der Marke verstärken und Toni Ruiz ersetzen, der im Oktober zum Managing Director von Mango befördert wurde. ...ein. Der ehemalige Produkt- und Merchandising-Chef der Eigenmarken von Zalando verdiente sich seine Sporen zunächst bei Mango. ...Das katalanische Modelabel soll prominent in Halle 3 platziert werden. Mango möchte sein Wholesale-Business gerade mit Blick auf die DACH-Region weiter ausbauen. Die Panorama Berlin sei dafür die ideale Plattform. ...Spanish fashion brand Mango is expanding its presence in the Middle East and Asia with the announcement of the opening of four new megastores in Saudi Arabia and the Philippines. ...Mango has launched a new collection for mothers-to-be. The maternity line will be available from this week across 158 stores in 86 countries, as well as online. ...Spanish womenswear brand Mango has announced the creation of a clothing collection that observes the Islamic dress code. The range dedicated to Muslim women is due to launch ahead of Ramadan on May 30. 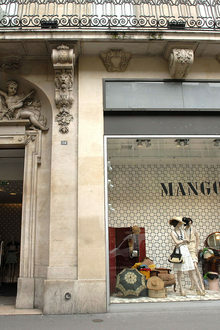 ...fight against counterfeiting, and once again it was its footwear that prompted a sentence against Catalan retail brand Mango. ...«Ростелеком-Solar» изучила приложения Mango, Asos, Shein, Bonprix, Wildberries, H&M, KupiVIP, Bershka, Joom и Lamoda и выявила критические уязвимости, которые могут дать злоумышленникам доступ к аккаунту пользователя. ...Компания Mango добилась рефинансирования своего долга, передвинув срок погашения займов на 2023 год. Изначально она должна была рассчитаться с долгами в период между 2019 и 2020 годами. ...executivo, vindo da Privalia, que será incorporado a 4 de março, irá ocupar o antigo cargo de Toni Ruiz, diretor-geral da Mango desde outubro. ...reintroduziu no organograma um cargo suprimido em 2015 após a saída de Enric Casi. A nomeação tem como objetivo fazer a Mango sair do vermelho. ...Lancôme, há vários anos, e já estrelou campanhas de muitas marcas de moda ao longo de sua carreira, incluindo Loewe e Mango. ...Mango Man 10ncu yılını özel bir kampanya ve yenilenmiş 10 ikonik parçadan oluşan bir kapsül koleksiyon ile kutluyor. ...İspanyol moda markası Mango, şu anda 500 milyon Euro olan bir borcunu yeniden finanse etmeye çalışıyor. ...İspanyol kadın giyim perakendecisi Mango bu hafta yaptığı açıklamada mobil satışların Noel döneminde masaüstü cihazlardan yapılan satışları aştığını ifade etti. ...Temmuz ayında Snapchat ve Instagram üzerinden birkaç fotoğraf yayınlamasının ardından Mango, dijital ortama odaklanan sonbahar-kış 2016 kampanyasının videosunu lanse etti. ...seis años en 'e-commerce' de moda, y se une al departamento de marketing procedente de Zalando y tras haber pasado por Mango. ...uma coleção cápsula apenas disponível na plataforma alemã, no âmbito da comemoração do seu décimo aniversário. Para a Mango "é a colaboração mais importante com um marketplace". ...Glam conta já com mais de mil artigos de marcas tão variadas como Carolina Herrera, Gucci, Longchamp, Miss Sixty, Zara, Mango ou H&M. ...Mango, Flannels, Urban Outfitters, Zara and Newbie have committed to opening new stores at Westgate Oxford, as the shopping centre reveals 19m people passed through its doors in its first 12 months of trading. ...The Mango ready-to-wear brand has a collection that shimmers with glitter, sequins and other sparkling details this holiday season. ...The world-famous model Amber Valletta makes regular appearances in campaigns for ready-to-wear brands such as H&M et Mango, as well as major fashion houses like Proenza Schouler, Escada and Chanel. ...Sanjay Garg will take his brand Raw Mango to four US cities over the next two months with a presentation of sarees, textiles, and garments. 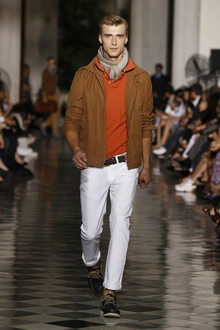 The travelling show will help the brand to reach an international audience. ...On March 30, Raw Mango will open the doors of its new flagship store in Lodhi Colony Market in New Delhi with a launch party. ...Flipkart’s fashion business Myntra has closed two loss-making brick-and-mortar stores: Mango in Mumbai and its private label Roadster in Bengaluru. ...Raw Mango by Sanjay Garg celebrated ten years in the fashion industry with a two day celebration at its New Delhi flagship store and the launch of a 10-piece collection of art objects. ...Axo. Su catálogo de marcas se compone por firmas internacionales como Levi's, Dockers, Puma, Steve Madden, Perry Ellis, Mango, Guess y Express, por mencionar algunas. ...os de más de 200 marcas de moda nacionales e internacionales, entre las que se encuentran Steve Madden, Perry Ellis, Mango, Levi's, Dockers, Puma y Guess, por mencionar algunas.